Press start on your smart home. We think everyday utilities should be a little less everyday. Waking up should be easier. Parties should have more color. Setting the mood should be simpler. Imagine if sustainable household tech could actually lower your utility bill. It shouldn’t be so hard to make your home stand out from all the rest. Lumenty is the easy first step to personal, at-home smart tech. We’re in the business of creating products that help you reimagine what it means to be home. It’s your space, your way. Have your light-bulb moment. 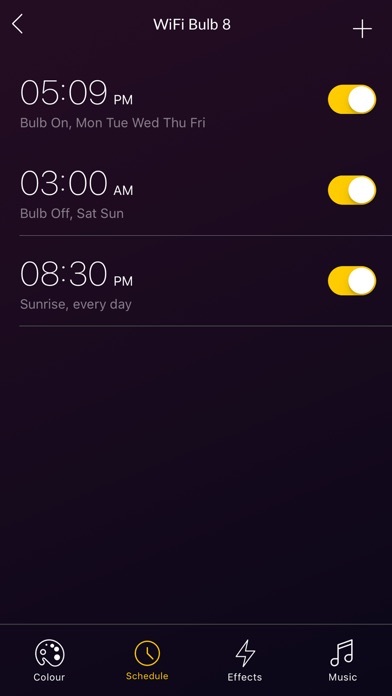 Schedule your bulbs to simulate a sunrise, no matter the time of day. Choose from millions of colors to set the perfect ambiance for any occasion. 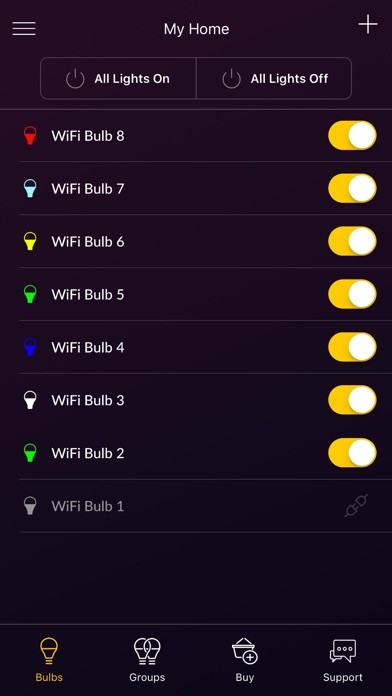 With the Lumenty app, group and control your home’s lights like never before. 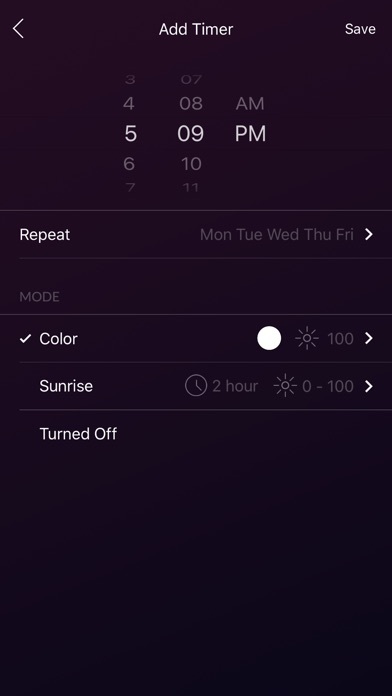 The possible color and function variations are endless, but here’s a glimpse of what you’ll discover: Customizable Lighting: Color-changing, dimmability, daylight, & warm/soft lighting Wake Up Light: Create a customized sunrise timer for any time of day Visualize Sound: Sync with your Spotify, iTunes, TV, or gaming setup Schedule Bulbs: Use timers to turn bulbs on/off at specific times Programmable: Save your favorite colors and transition effects And so much more! I love the lights and everything but at the moment when I want to add music, it glitches when I want to select Spotify. It doesn’t glitch for Apple Music yet. Please fix it as soon as you can! 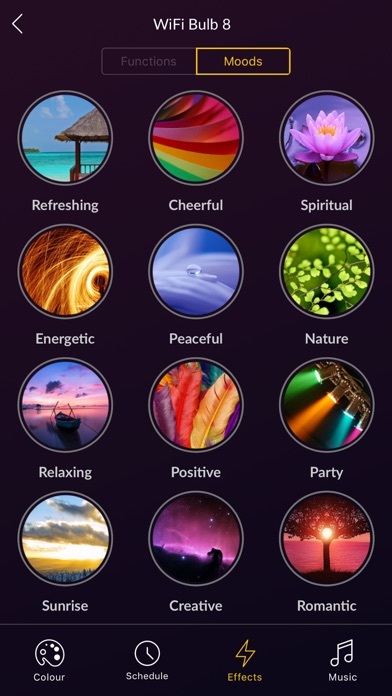 This app has all the beautiful features anyone can expect from an app; the amazing interface, easy to use navigation, the possible color and function variations are endless. It’s really an amazing app. Hello there, this app is a great development. 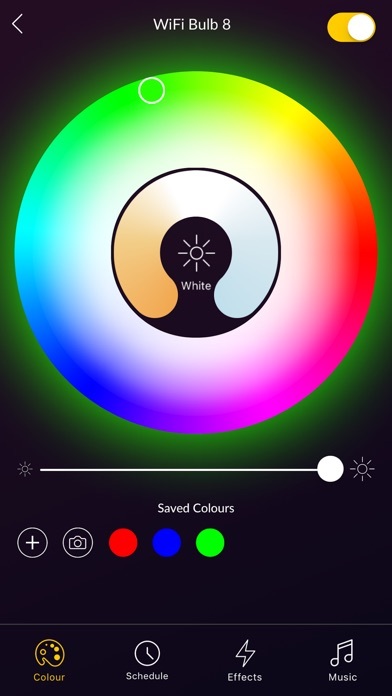 I must confess that it stands out compared to the app Smart Bulb I have used in the past. Since the app has replaced me doing the task of checking the lighting equipment in the house, I do not need to go out of the blanket anymore! I can control everything from light on, oven timer, TV turn on, just with the phone.